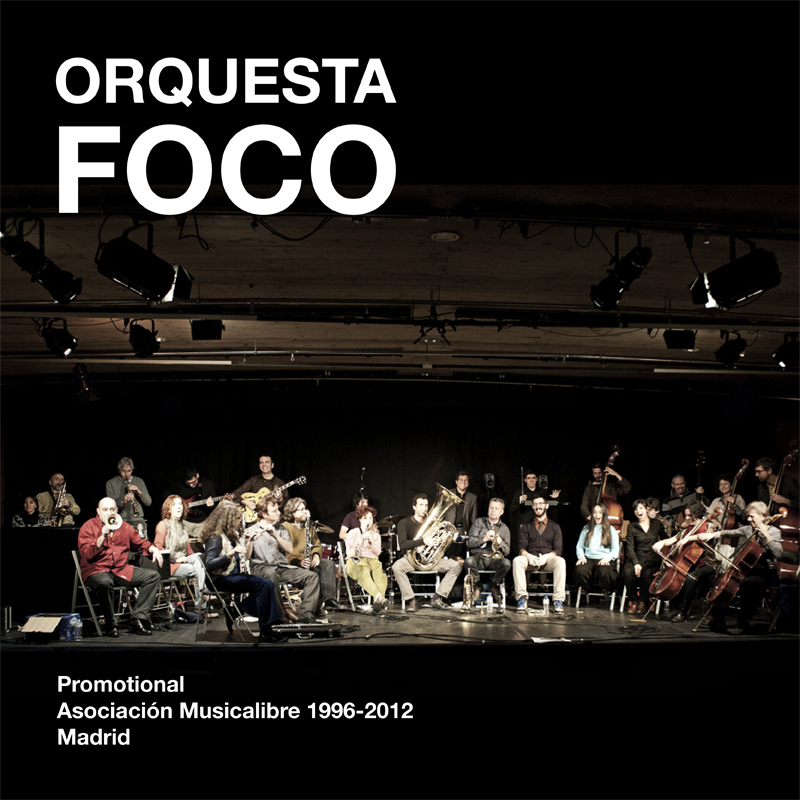 Celebrating the 16 years since the founding of the F.O.C.O Orchestra of Madrid. Chefa Alonso (soprano sax), Miguel Bestard (tuba), María G. Cameselle (double bass), Javier Carmona (drums), Paloma Carrasco (cello, piano), Juancar Castillo (electric guitar), Javier Escaned (tenor, soprano sax), Christian Fernández (voice, objects), Juan Jarén (electric guitar), Gregorio Kazaroff (electronics), Graciela López (voice), Javier Paxariño (baritone sax, flute), Christian Pérez (double bass), Pedro Rato (keyboard, piano), Ildefonso Rodríguez (alto sax), Ebba Rohweder (transverse flute), Ernesto Santana (transverse flute), Gádor Soriano (voice), Ricardo Tejero (tenor sax, clarinet) Victor M. Vázquez (tibetan singing bowls, percussion), Cova Villegas (voice). What is the FOCO Orchestra? FOCO grew out of an improvisation workshop that the Musicalibre association organized with German double-bass player Peter Kovald in 1995. There were about fifteen of us - all musicians involved in different projects and activities at the time and all sharing a common illusion - who came together at the Olivar de Castillejo Foundation. This foundation, now extinct, consisted of an ancient house sitting in an olive orchard in the middle of Madrid, with a large living room where we would rehearse. Our debut as an orchestra took place in the First International Improvisation Festival in the German Institute, which was the cultural entity that most supported us in the beginning. FOCO is made up of Musicalibre members and it's a constantly evolving orchestra, thanks to the arrival of new musicians and to the work we do with guest artists and conductors. After fifteen years of working under some of the biggest names on the international improvising scene, and seeing how some of us have been conducting for several years now, we thought it was a good time to record something with our own conductors. Who are the founder members of this project? The orchestra, the association and the Hurta Cordel Festival were all founded by six of us: five musicians and a music journalist (Chema Chacón, Oro Molido Magazine). Of the six, only two, Barbara Meyer and myself, are still active in the association. The other founders were Wade Matthews (also a Musicalibre member and curator or Galería Cruce), Chema Chacón, Pedro López (Modisti) and Belma M. Mullor. Since we first came up with the idea, the Hurta Cordel Festival was meant to be a kind of platform for bringing together national and international projects including all the tendencies in improvisational and experimental music. There's an interdisciplinary aspect to it as well, so while it is focused mainly on music, it also includes other artistic disciplines such as poetry, dance and the visual arts. About your experience organizing Hurta Cordel festivals in Madrid and recently in Barcelona as part of Musicalibre Association. For the last ten years the organization of the festival in Madrid has gone pretty smoothly, and this is thanks above all to the unwavering support of the Casa Encendida. I would say that this cultural center, financed by the Social Works program of the now-extinct Caja Madrid, is the most important center of its kind in Madrid, especially in its backing of the more cutting-edge artistic tendencies. As a result we've been able to bring together important figures from the international scene as well as lesser-known artists or projects put together by local improvisers, Spaniards or foreigners living here. The Hurta Cordel Festival lasts for a week and takes place at the end of January. The dates for next year's festival are January 21-27, 2013. In Barcelona we've organized a three-day festival these last four years and I'd say that we're winning over a loyal audience there little by little. There are certain stylistic similarities in the improvisational techniques and the sounds used in free jazz, in free improvisation and in conductions. Some FOCO musicians, for instance, display influences from the London scene and from the musical discourse of the London Improviser's orchestra (LIO). Why is this so? How did these influences find their way into your orchestra's sound?? I believe that all improvising orchestras have certain common characteristics - for example, the way they'll juxtapose chaos, order and pure spontaneity - but at the same time, no orchestra sounds like another. Along with other factors, each conductor's personality influences the result. Why do FOCO and LIO share certain improvisational techniques and stylistic devices? Some of us from FOCO have lived in London and are members of the LIO, and many Spanish and English improvisers have worked together and had a chance to really listen to each other. On several occasions FOCO has invited conductors from the LIO to come work with us. British improvisers really like to 'play around' (in London it's quite common to hear that you improvise 'just for fun') and they tend to be very expressive; I heard very little minimalism in the four years that I lived there. We Spaniards tend to be visceral and passionate, and I don't think it's surprising that we all share a liking for free jazz, for non-minimalist musical expression as well as for the delicate touch and the poetic flourish. Could you name any groups, bands or musical concepts in particular that have inspired this orchestra's sound? It would be hard to talk about this far-reaching, widespread family that we feel a part of without mentioning groups like the Art Ensemble of Chicago, the Sun-Ra Orchestra, the Global Unity Experience...... And more than the LIO, which actually began five years after FOCO, I would say our main influences have been the numerous excellent conductors who have worked with us: Peter Kovald, Butch Morris, William Parker, Olivier Benoit, David Tucker, Michael Fischer, Fred Frith, etc. Does FOCO or the association follow any specific philosophical focus or stylistic ideology? Our aim (which is somewhat restricted by our modest budget) is to bring together and provide a showcase for all styles and tendencies in free improvisation, regardless of the individual preferences that we each might have. Philosophically and politically, we feel a bit like a species in danger of becoming extinct; we believe whole-heartedly in humanity and in universal brotherhood at a time when rampant individualism and materialism makes these concepts seem like some sort of romantic dream. And we are not ready to give up. FOCO brings over a guest conductor each year. Tell us a little about this experience. Working with different conductors each year has helped us to grow as an orchestra and achieve a group discipline that's not easy to come by. I think that over these fifteen years we've managed to develop our own sound and to really function musically, even without a conductor. In an orchestra with close to thirty members, this is quite a feat. On this CD, FOCO is conducted by some of its members. Do you feel that after more than fifteen years of hard work the orchestra has matured enough as an ensemble to finally have developed its own sound? I would say that we have, but only since 2006-2007, when some of us members started conducting the orchestra. In my case, I only began conducting after I got a personal invitation to do so from the Galician orchestra OMEGA (Orquesta de Música Espontánea de Galicia). Being a player in a group or orchestra is so much fun that I'm not sure that I would have been inclined to conduct if not for this invitation. Anyway, I was faced with the responsibility of coming up with my own methods and techniques and signs and finding my own approach to conducting. Other musicians from FOCO started conducting small improvising ensembles in the Jacintos club and then, as of a couple of years ago, in the Alabanda, where every month they program small groups along with the orchestra, conducted by its members. What sort of activities, workshops and regular programming are the Musicalibre members involved in? Since Musicalibre's beginnings, its more active members have managed to maintain a steady program of improvisation in various clubs in Madrid, namely, El Juglar, Cruce, Los Jacintos, and the Alabanda. We've also programmed "extensions" of the Hurta Cordel Festival. And not only the Barcelona edition of the festival that has been going on for the last four years; we've also organized concerts in Huesca and in León, where 'ImproGaudí' was held in 2002. That festival included figures such as Evan Parker, Le Quan Nihn, Agustí Fernández and Peter Kovald, who directed FOCO there. We've organized all kinds of workshops, and in the last three years there were two summer festivals to complement the Hurta Cordel program. The one in Alabanda included various guest artists and both steady and spontaneous formations made up of musicians from Madrid, Galicia and Andalusia (including members of Enteguerengue, the Andalusian improviser' orchestra). The festival in Málaga included steady as well as first-time formations with Spanish and foreign artists, orchestras and numerous workshops. Does Musicalibre receive financial support in order to organize Hurta Cordel each year? What is the situation like now with all the cutbacks and the spanish economic crisis? The budget we have for Hurta Cordel now is about half of what it was when we started. The cutbacks have been continuous and right now there are serious doubts regarding the near future, not only about the Hurta Cordel Festival but about the future of the Casa Encendida. As it is, we're going to have to do without the Barcelona edition of the festival this year. With the crisis we're getting the impression more than ever that they would just as soon see us disappear. To what extent do cultural institutions and the government show support for this kind of music in Spain? As far as I can tell, government interest in this sort of music is non-existent in Spain. And the same could be said of cultural institutions, with the exception of the Casa Encendida. Tell us about the Madrid scene. Is it hard to be an improviser in Spain? To be an improviser in Madrid or in Spain you had better be tenacious to begin with, and not have the slightest doubt about the kind of music you most like to play. It's not something for the easily discouraged and you have to know that you're going against the flow. Any sort of 'benefit' you hope to receive can only come from the music itself and from the contact with other improvisers. You certainly shouldn't expect recognition, large audiences or future contracts, and much less to make money. Musicalibre is basically open to anyone interested in joining, though normally a new candidate is "presented" by another member and then "approved" in a vote by the assembly (there are at least two annual assemblies). The small quarterly fee that members pay gives them free access to workshops, seminars, festivals, etc. If the members live outside of Madrid the association also covers their travel expenses (and lodging, when necessary). Members can also present their projects for consideration by the board for their possible inclusion in the programming. What sort of sensation would you say the audience gets when attending a FOCO concert? To begin with, I think that sitting in front of a stage with more than 25 musicians on it who have no sheet music and literally have no idea what direction the music is going to take has to be exciting. Some listeners have told us that they close their eyes and feel as if they were on a trip, others say they feel like getting up and dancing, and some say they can't take their eyes off of the performers and become totally engrossed by the thrill and the concentration that they sense. Rarely is anyone indifferent. The proof is that our concerts are always packed. What criteria does Musicalibre use for choosing the musicians who play in Hurta Cordel? Any member can propose groups and musicians for the festival. The most promising and viable proposals are then debated in the assembly where the final decision is made by the board. This board is made up of five members who are chosen in an assembly and who change on an average of every three years. The musical quality of the proposals is of course the number one consideration when making the selections, but there are other criteria that we take into consideration: 1) bringing together proponents of different tendencies in free improvisation. 2) bringing together important figures from the founding generation of improvisers as well younger, emerging talent. 3) striking a balance between local musicians (born in or residing in Spain) and others from abroad. 4) making a special effort to bring female improvisers, who tend to be harder to find, as they generally have fewer opportunities to participate in festivals. 5) achieving variety in the different kinds of instruments and formations. How would you describe the music and the sound of FOCO? In general we are a fairly acoustic sounding orchestra, although we do have some electric instruments and some electronics. We have a huge wind section - mostly saxophones - six voices, two cellos, a varying number of double-basses and guitars, rhythm instruments and more.... This all contributes to our particular sound. Our general sound is punctuated by nods to different genres and by a notable, intrinsic discipline which helps make the transitions between contrasting moments sound natural and organic. FOCO's music is passionate, powerful and delicate, and at the same time it is full of personality and humor. Do you think that the improvised and experimental music scene is changing? I'm not sure that it's changing much, although one thing that I've noticed that does seem like a novelty is the proliferation of groups and orchestras using conduction, which is presumably a result of the activities of the first few improvising orchestras. I also feel that these new orchestras, along with the workshops and festivals that they give rise to, are causing some musicians from the classical world (who are not known for being in touch with today's musical tendencies) to open their eyes and realize that the lack of improvisation in their realm - and the creativity that goes with it - is a handicap that really needs to be addressed. Is Hurta Cordel ready for new music and for sounds and noises developed outside of the established realm of improvised music? For the sixteen years that it's been going, Hurta Cordel has been open to and has brought together a very wide-ranging sampling of tendencies within free improvisation. Although I'd rather not speculate too much right now about the future (which looks pretty grim), I'm certain that if a "new" sort of music emerges, there will be new musicians to play it and to help Hurta Cordel evolve, even if that means that our conventional idea of presenting music at festivals and in auditoriums is replaced by something else. Some names of projects related to improvised and experimental music in Madrid. Colectivo del Pasto, La Criatura: Quintet., Archipiel: vocal duo, Madam, Sin Red: Quartet of poetry and improvised music. As a musician and organizer, what do you think of independent cultural venues? What kinds of organizational problems do there tend to be? I think it's important that there be independent venues and projects, and I know that there are a lot of people (young people in particular) who have good ideas and are eager to do things. There ought to be more self-managed spaces but it's hard here, and the venues that do exist (usually in squatter, i.e. 'occupied' buildings) are under a constant threat of eviction (the Tabacalera in Madrid, the CCAN in León, the Casa Invisible in Málaga). But mistakes due to lack of experience are as likely to occur in official institutions (where they are harder to justify) as they are in independent settings. A personal question. What kind of impact has improvised music had on your life? It felt like coming home, like I had finally found what I'd been looking for. Does FOCO have any specific challenges in mind, any goals regarding its sound and its music? I can't say that we have any specific ambitions as far as our sound and our music; our only aim is to be open to whatever comes our way. What sort of future goals do Musicalibre and the Hurta Cordel Festival have? The greatest challenge for Hurta Cordel right now is dealing with the possibility that we could lose our financing, meaning that we would have to find some other way of functioning. I sometimes wish that the members of the association were a little more involved with the activities; as is the case with most associations in Spain (where we don't seem to have much of an associational spirit) it ends up being a handful of members that do most of the work. But our main goals will continue to be presenting worthwhile projects in free improvisation, encouraging collaboration between Spanish and foreign improvisers and helping musicians develop through workshops, festivals and other activities. Links to concerts and experimental music. 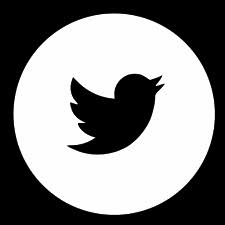 Some of your questions made reference to sound experiments, the future and "new" music. In my opinion, the future will see more and more combinations and collaborations between music and other arts than purely "radical sound experiments". I believe that a truly radical approach has to include more than just pure sound. It should be present in our poetic and our political attitudes as well, and in a broad sense I would say that poetry is more important than sound. I love playing improvised music in a circus context, with dancers, poets and visual artists. These collaborations can work wonderfully and they can bring so much to us and inure us against the risk of becoming too closed of a group, focused exclusively on musical improvisation. Without poetry we're lost, no matter how radical the sound experiment. And we all know that poetry is not only made with words. Promotional of the upcoming “first CD” (produced by Asociación Musicalibre). Celebrating the 16 years since the founding of the Orchestra. Curated/edited by Julian Bonequi. Recorded in the auditorium of "la Casa Encendida" February 21, 2011. Improvisations conducted* by Chefa Alonso, Ricardo Tejero & Gregorio Kazaroff. Mixed and mastered by Ernesto Santana. Picture copyright (c) Esther Cidoncha. Design by Aniana Heras. Produced by Asociación Musicalibre. Thanks to la Casa Encendida, and specially to Asociación Musicalibre and the International Festival of Improvised Music "Hurta Cordel" who supported Audition Records since the very beginning of the project.